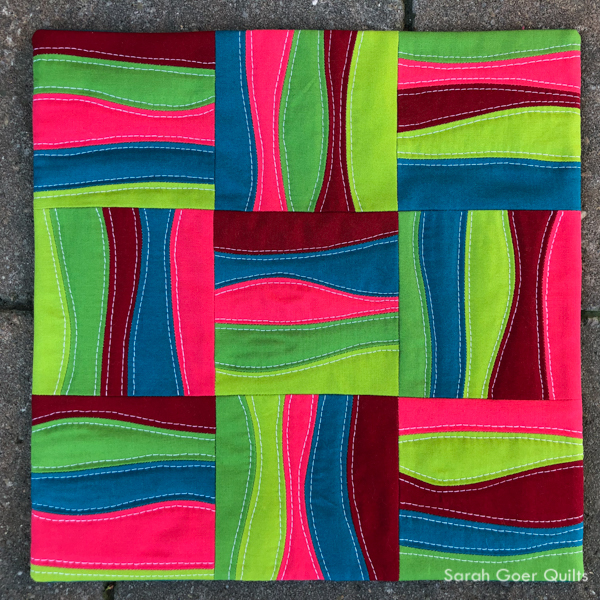 The Curves Mini Quilts challenge for Curated Quilts ends today. I love quilt challenges for a variety of reasons. 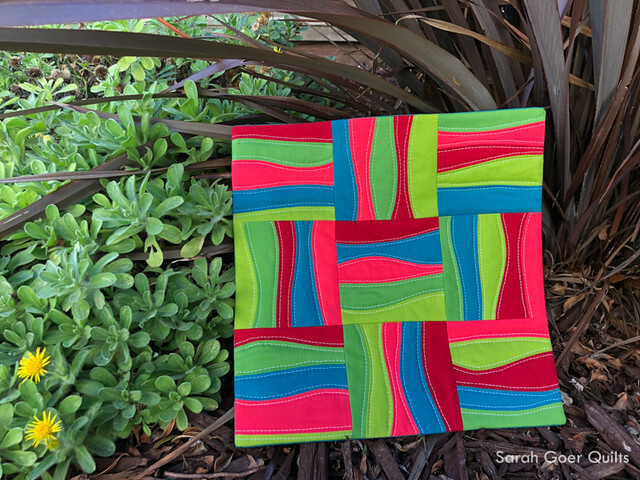 The small size of a mini quilt is a great way to play with a new or different technique. When the Curves challenge was announced I loved the palette (though I totally missed that white was in the list) and knew that I would do something with gentle improv curves. 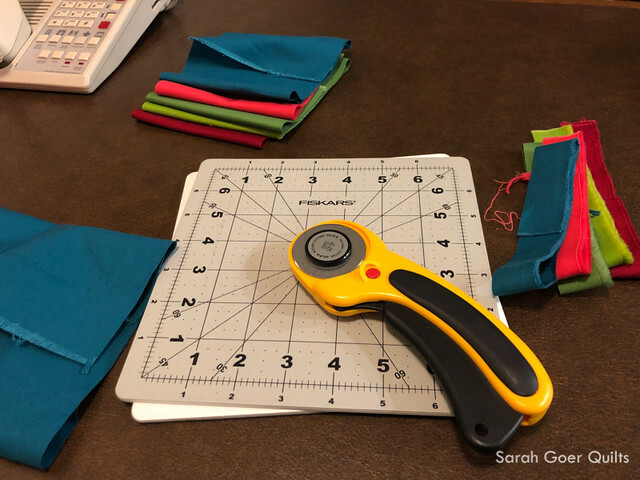 I was out of town for 9 days in December without my sewing machine, so I packed along my fabric, rotary cutter, and small cutting mat. 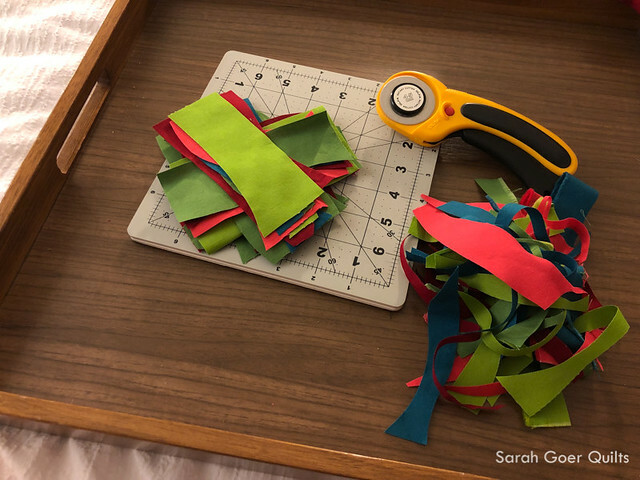 This allowed me to work in my hotel room to prep all my pieces for the mini quilt. When I returned home I needed to finish up one last December project before I could get to work on this project beginning January 1st. But since my pieces were all cut and organized, the units went together quickly. I trimmed them down to 4-inch squares. I opted to add in the white from the palette with my echo walking foot quilting. The 10.5" x 10.5" quilt was finished with a faced binding. I'm linking up to the Curated Quilts Curves Mini Quilt Challenge call for entries and Michelle's Beauties Pageant, and Wendy's Peacock Party, and TGIFF with Anja. There are so many other beautiful submissions. Congratulations to everyone who participated. Posted in Quilting. 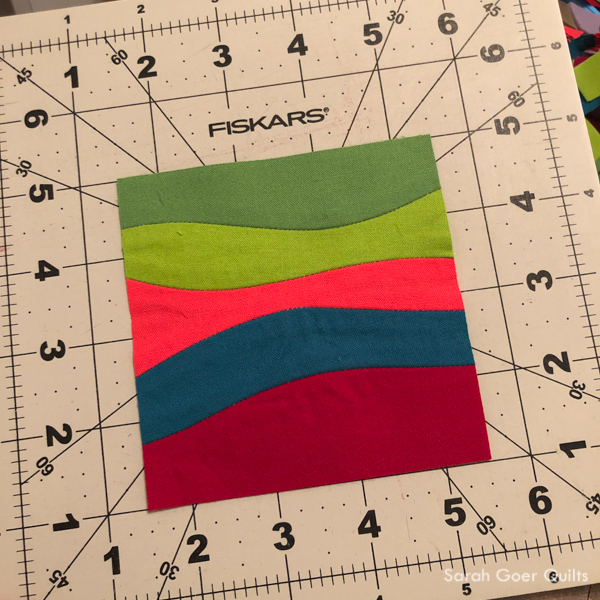 Tags: Curated Quilts, finished quilt, mini quilt, planned improv on January 2, 2019 by sarah. 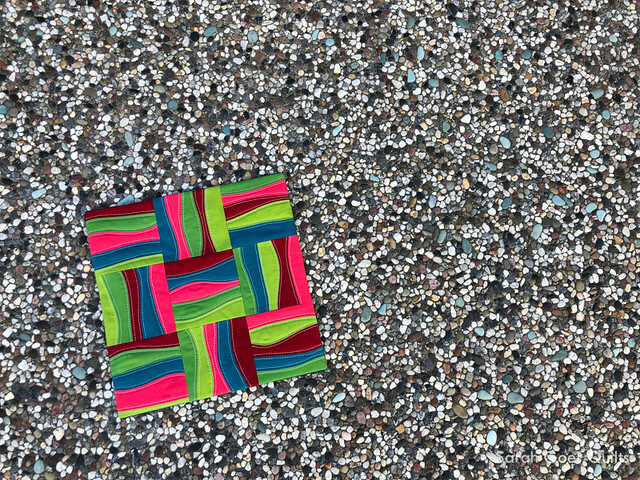 The color palettes that Curated Quilts selects are always so interesting to me. Congratulations on your submission! Well done. It's a great piece. I was going to play along, but I had too much on the go and decided not to participate. Just not enough hours in the day to do everything. Good luck. Thank you, Anja. I've had plenty of those cycles of CQ challenges where I intended to participate and then it never panned out. Hi Sarah: I missed this one as well. I was just too busy over Christmas and most of my quilting time when to fmq. I love your submission however, especially the quilting as it really adds emphasis to the curves. 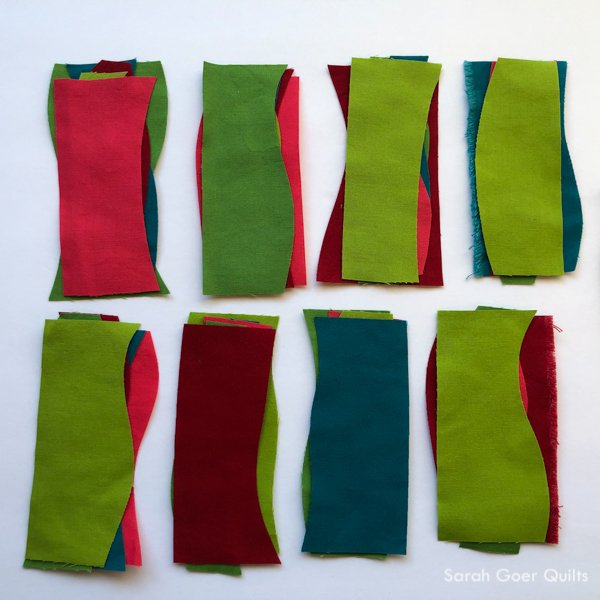 I love reading about how you stretch your quilting boundaries through participation in quilting challenges. Another awesome mini quilt! Thank you, Mary! I'm gearing up for the new season of Project QUILTING for a series of crazy, one week challenges. First one starts Sunday! Wow! I love those colours, and the clear nature of your design. Thank you for linking up to the Peacock Party. I'm so in love with your mini! Curves and colors, it's perfect! Aw... thank you so much, Fred. I really enjoyed making this one. I'll have to find a place to hang it so I can enjoy it.